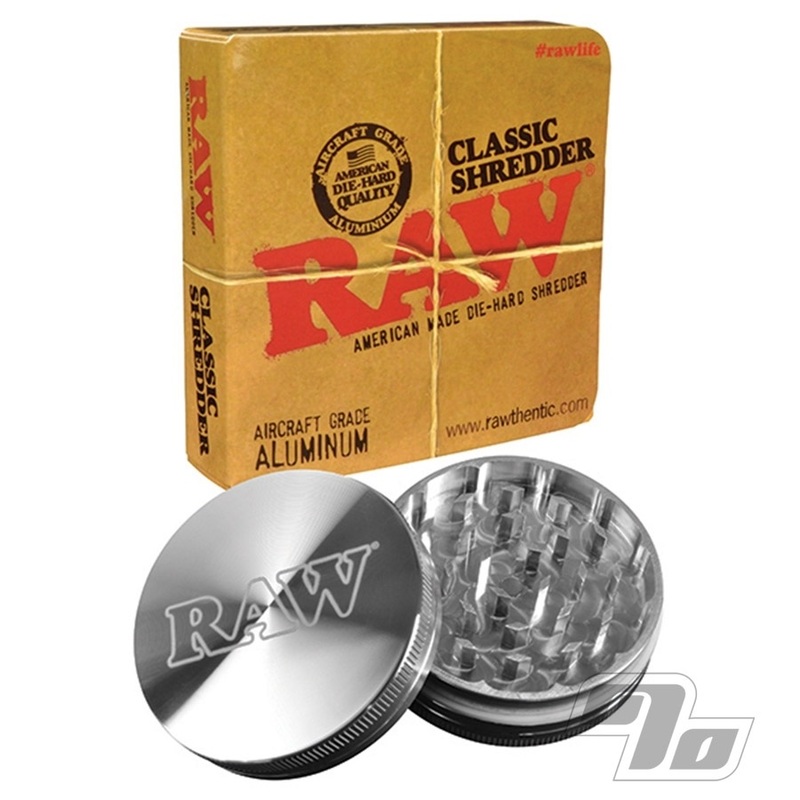 The Die-Hard RAW Super Shredder, constructed with aircraft grade aluminum, shreds and fluffs at the same time. The grinder teeth are carefully designed to gently shred while moving the pieces up to the next blade while fluffing the material allows for a much better burn. Use it once to understand what that means for stuffing your RAW Cones or Papers. Important to note: Many other sites on the interweb seem to say this RAW grinder is American Made. It's not. If that is important to you then this is not the grinder for you. Check the Space Case Grinders instead.